Drake may have dropped a new album last night, but before that late, on Thursday night the Blue Jays sent Steve Pearce and cash to the Boston Red Sox in exchange for 23-year-old infielder Santiago Espinal, per the team. We have acquired SS Santiago Espinal from the Boston Red Sox in exchange for OF Steve Pearce and cash considerations. 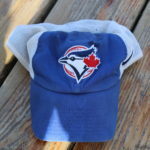 Now, many would like to say the Pearce trade is the start of the floodgates opening for a Blue Jays team that looks to be active ahead of the July 31st non-waivers deadline. Trust me trades are coming, but I don’t think that’s the case. The reality of the situation is that Pearce wasn’t likely to get much playing time, especially with Kendrys Morales and Randal Grichuk hitting so well as of late and Teoscar Hernandez being the everyday left fielder. To Pearce’s credit, he was having a strong 2018 season before his injury and went 5 for 13 with a home run in the four games he played coming off the DL. But the 35-year-old’s contract is expiring at the end of the season, and I think it’s fair to say there won’t be interest from either party to negotiate a new deal. Now, why the Boston Red Sox? Well, I wrote an article a few days ago here at Jays From the Couch explaining why Pearce was almost a perfect fit in Boston. The context of the article was a little different, as I was suggesting using Pearce as leverage in a J.A. Happ trade to the Yankees to wiggle away Clint Frazier from them. But I talked about how Pearce to the Red Sox was a trade that made sense on its own. The Red Sox recently DFA’d Hanley Ramirez, so there is a spot for a 1B/DH type on their roster. Boston commented on the transaction saying they would have liked to keep Ramirez but doubted his effectiveness as a pinch hitter and bench player. In 86 plate appearances this season Pearce is hitting .291/.349/.519 overall, but was part of a platoon in Toronto against LHP with Curtis Granderson. Since 2014 Pearce ranks 26th in all of baseball (minimum 450 PA) with a 134 wRC+ against lefties. So he’d be a welcome addition to a Boston team that has struggled against lefties this season as they are 15th in major league baseball with a 96 wRC+ against left-handed pitching. But probably the most prominent part of this trade and why I was suggesting the Jays use Pearce as leverage over the Yankees is that he’s had a lot of success against their pitching staff, particularly Masahiro Tanaka and C.C. Sabathia. Pearce in the hands of the Red Sox is a perilous thing for New York, who is currently one game behind Boston for the AL East lead. The two teams play each other 13 more times this season and are set to start a three-game series tonight in the Bronx. Whenever Pearce does see game action with Boston, he will have played games with every AL East team. What Are the Blue Jays Getting Back in Espinal? Espinal has spent his entire season so far in high A ball with Boston’s affiliate team the Salem Red Sox. Although he is not one of Boston’s top 30 prospects, the SS has shown a lot promise in 2018. Fangraphs had Espinal as part of their Fringe Five series earlier this year. They describe him as having a “diminutive” stature that did not project to have much power only having hit four home runs entering this season in over 600 professional plate appearances. But it’s worth pointing out that he doesn’t swing and miss all too much as he boasted the fourth best SwStr% (5.8%) at A ball last year over 544 plate appearances. This season Espinal has improved vastly at the plate as he’s lowered his GB% from 46.2% last season to just 31.4% and increased his LD% from 20.5% to 32.7%. This change has allowed him to hit .314/.364/.478 with 35 extra base hits, seven of them being home runs. His defence has been described as fair if not excellent as he’s played 442.2 innings at SS and expects to stick there. Espinal will probably report to Dunedin but may see some time in AA before the end of the season. After all, Bo Bichette is hitting .326/.374/.553 over his last 34 games with New Hampshire so AAA may be in his near future. Overall, I think the return for Pearce was fair, and the Blue Jays came away with yet another prospect to add to their cupboards for an asset on an expiring contract. But I’d be remiss if I didn’t say that I’m going to miss Pearce, no one hits walk-off grand slams as he can! I have a feeling we’ll be saying goodbye or at least see you later to a few more Blue Jays before the end of July.